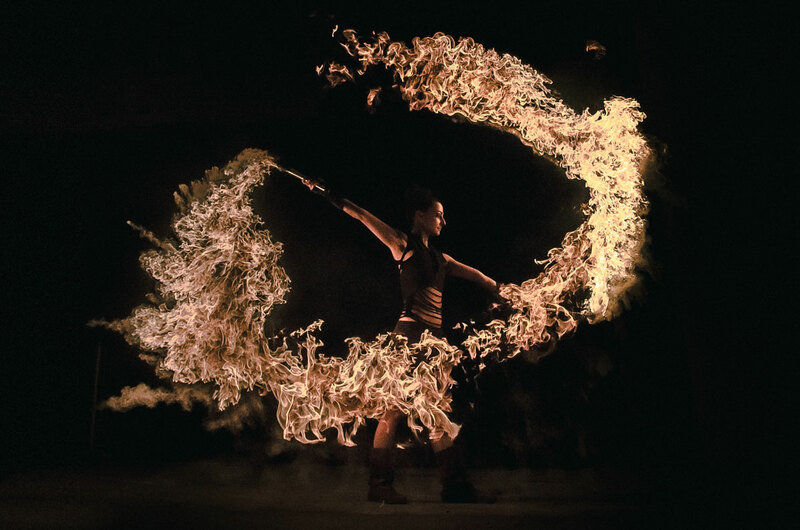 Fire is the most mystic of all elements seeming almost supernatural compared to earth, air or water. 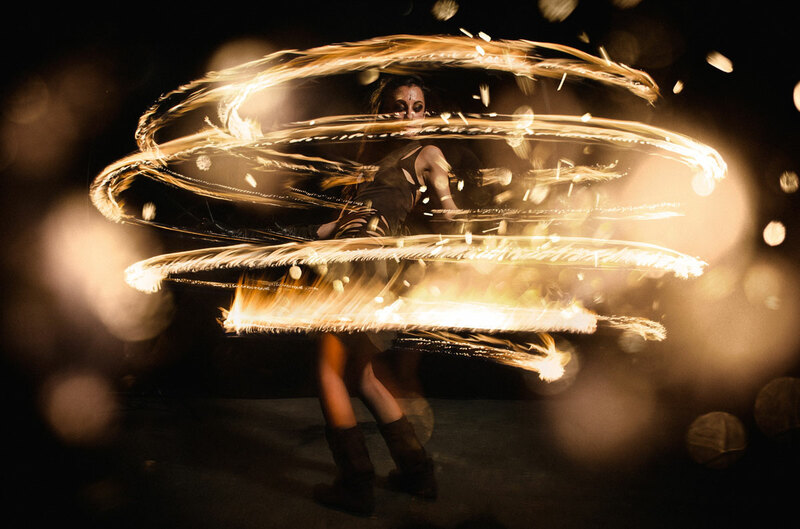 Combined with dancing it gives you the power of creative animation and enables you to express feelings and emotions which are evoked by music. 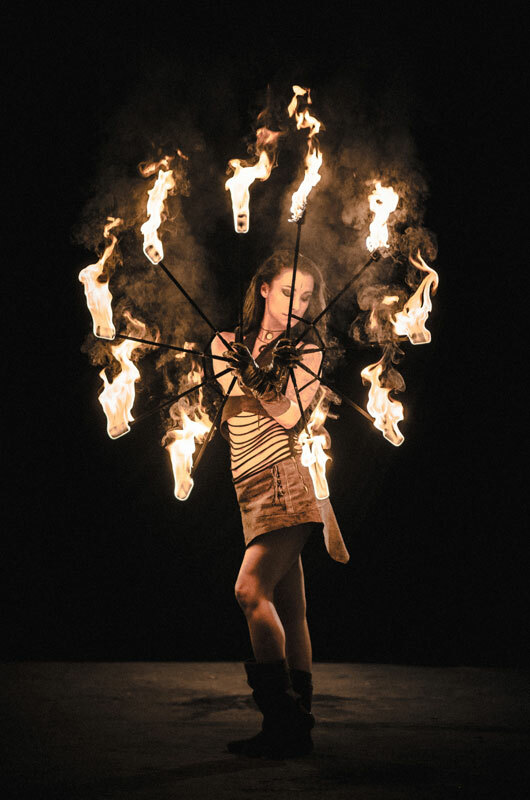 Fascinated by New Zealand fire dancers, I first started to learn spinning fire poi. 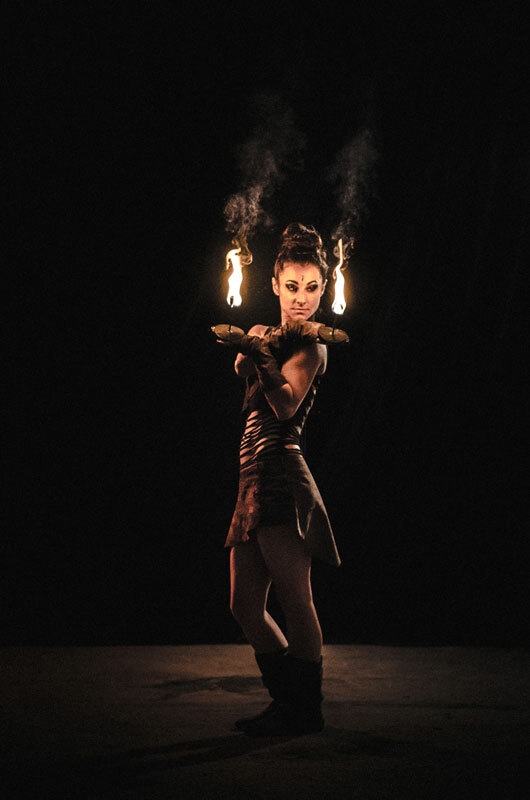 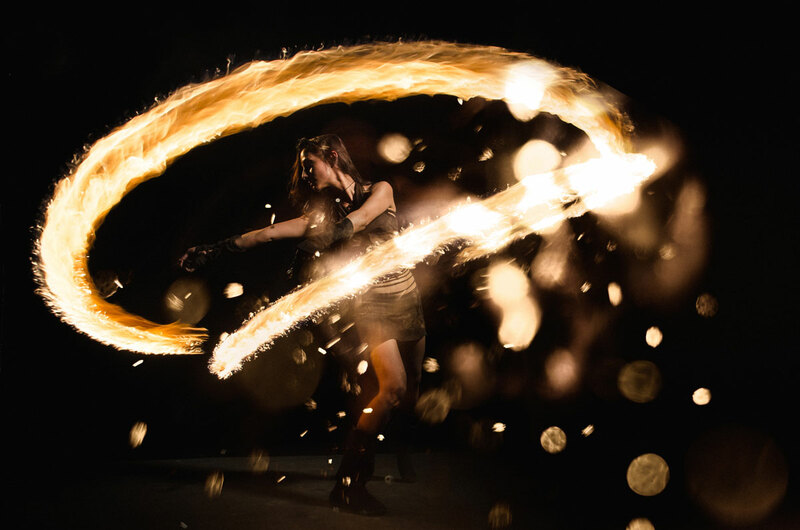 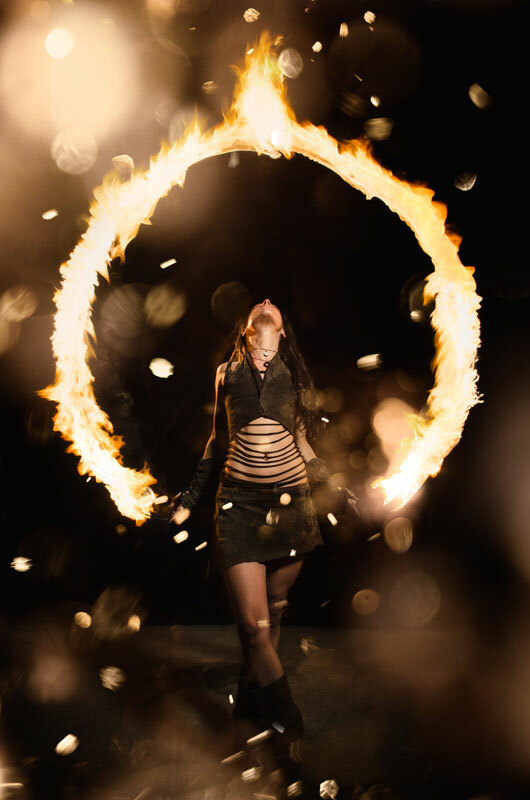 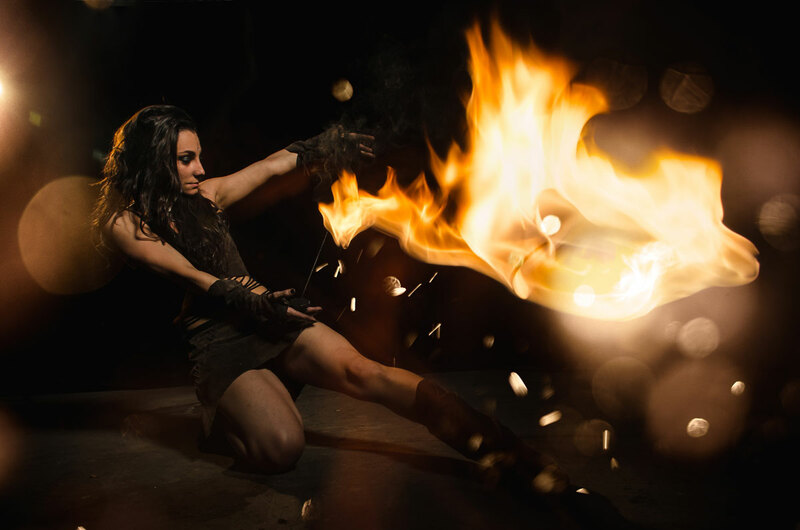 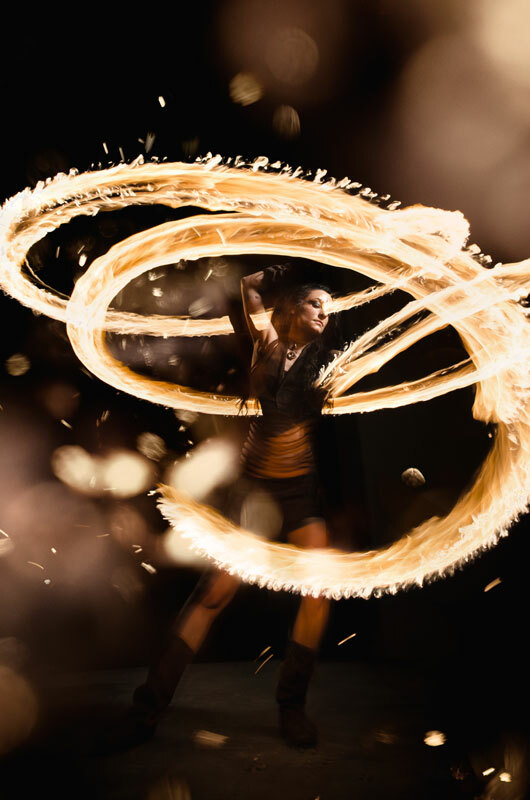 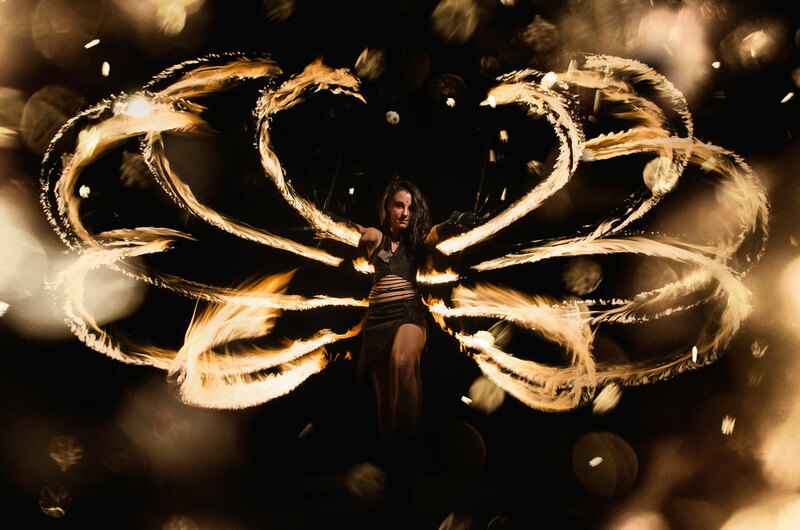 But once having entered the world of fire I soon began to explore the possibilities of playing with more fire tools such as candles, firefly, fans, ropes and my most favorite dance prop: the fire hoop.